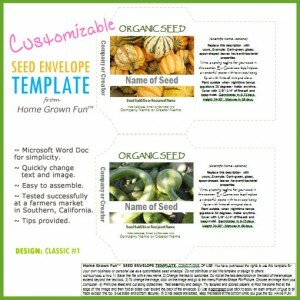 You can make your own seed packets with just about anything including sticky notes, scrap paper and old seed catalogs! Think about printing your own! Include personalized information for friends or customers. 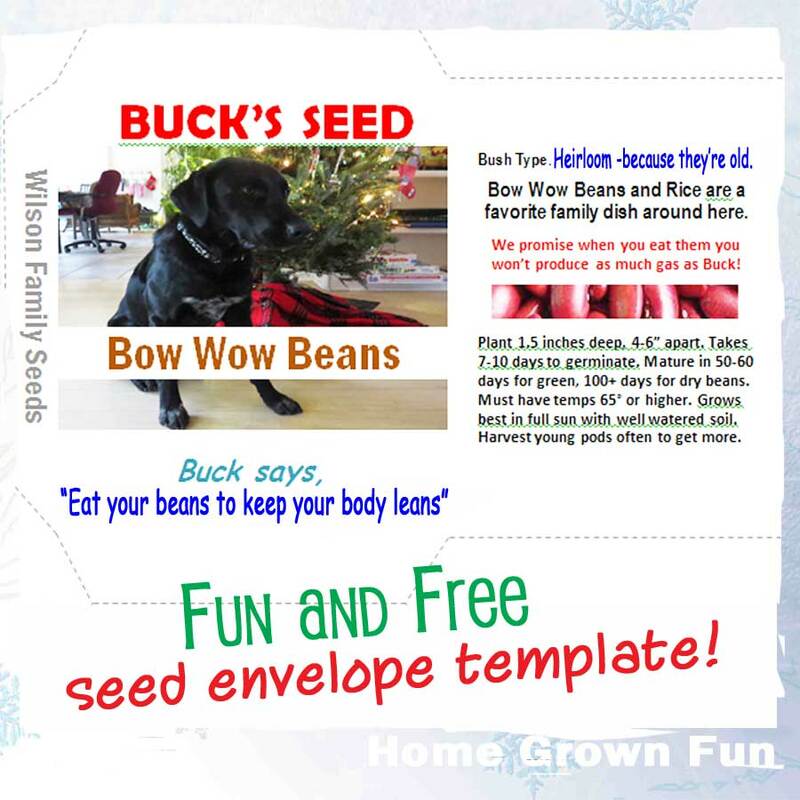 Great for gifts, seed exchanges, merchandising or promotions. I’m going to use them as a school fundraiser or fun gift for garden club members. 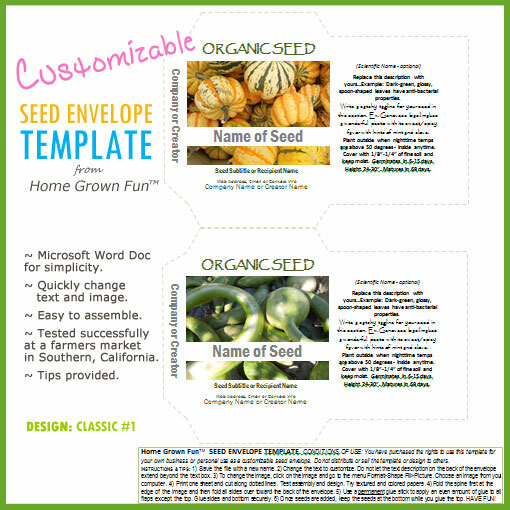 Formatted as a Microsoft Word document, you won’t have to fool around with image editing software to customize your own envelopes. Two packets print on each page. Simply cut them out, fold over the flaps, glue and fill. Sample seed information already on the packet! 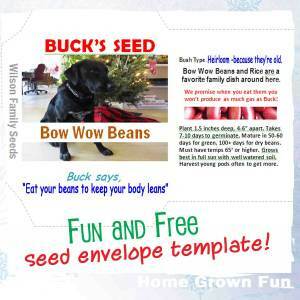 I used this template to sell and gift seeds and loved how I could replace the picture easily and change the text quickly. After lots of testing at my farmers market booth I learned a few tricks and listed those on the bottom of the template too along with the instructions. Using textured or colored papers (kraft paper is fun), makes them even more irresistible! Get a funny holiday version that you can customize as you wish. Get creative and inspire others to grow!